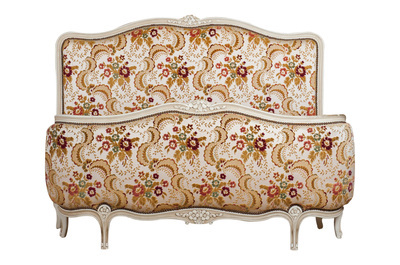 ﻿﻿Louis XV﻿ style differs essentially from Baroque in its lightness and avoidance of symmetry. 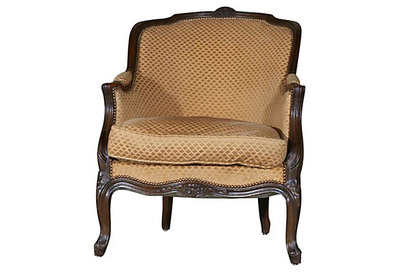 A more moderate use of curved lines and less fanciful ornament than Baroque is the guiding principle of the Louis XV furniture style; the legs are curved, the back is curved and the seat is curved. 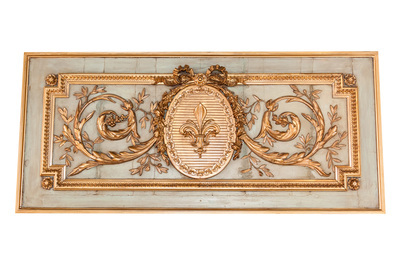 Even the Louis XV architecture follows this principle, everything is curved - the ceiling, the panel designs on the walls, the panel designs in the doors and even the corners of a room are curved. 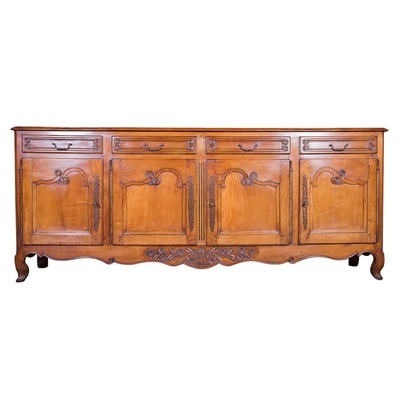 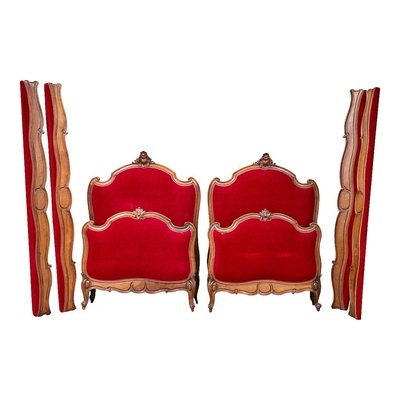 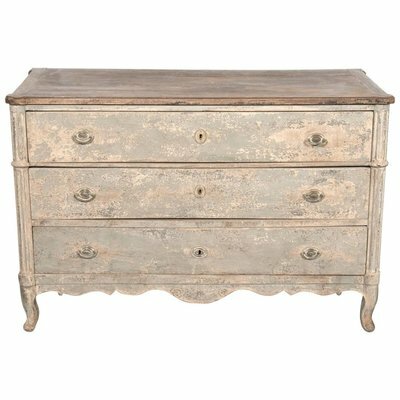 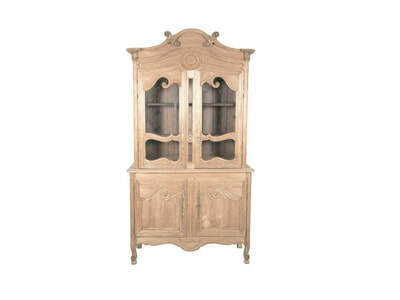 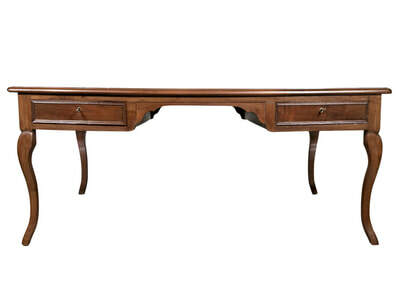 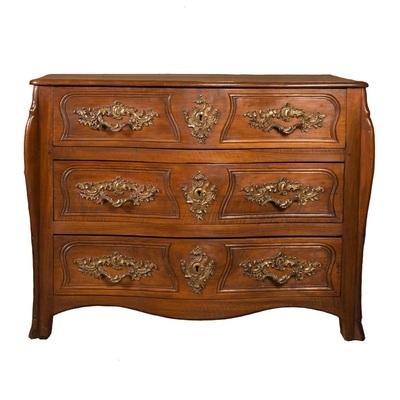 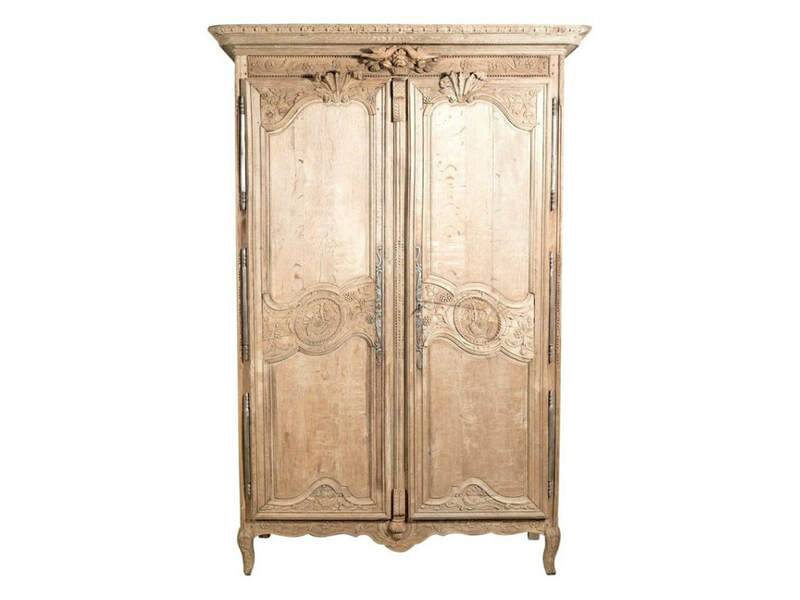 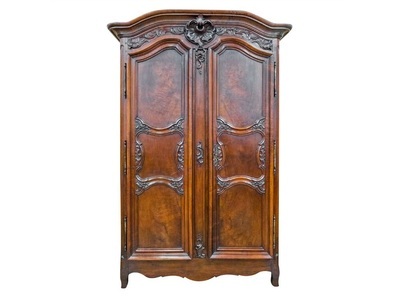 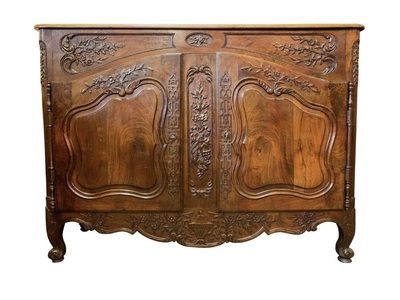 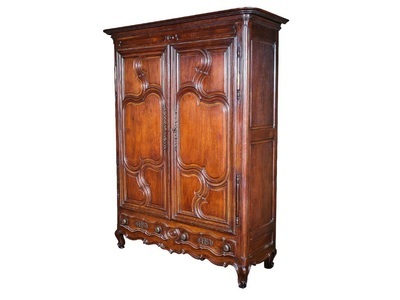 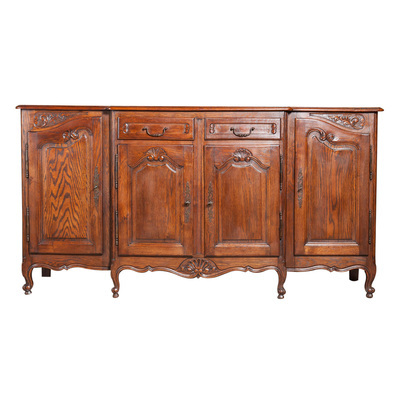 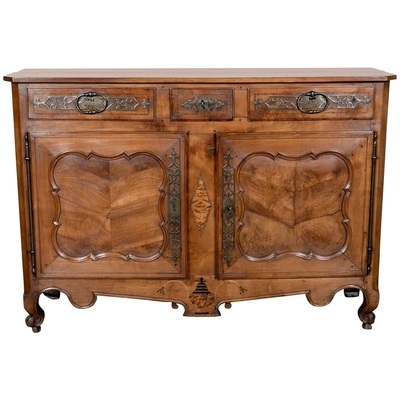 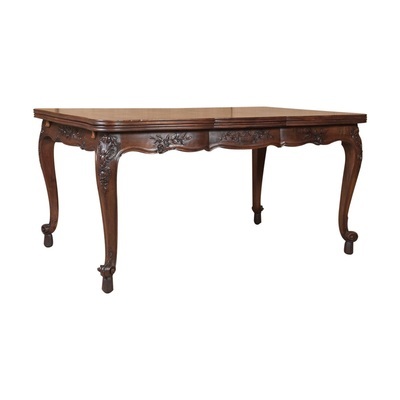 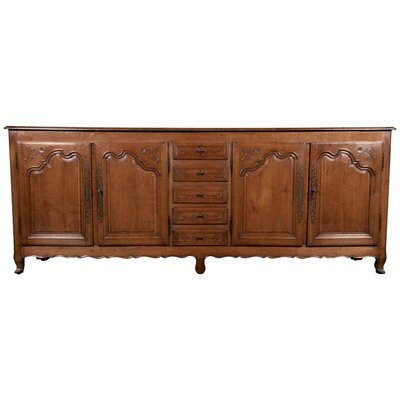 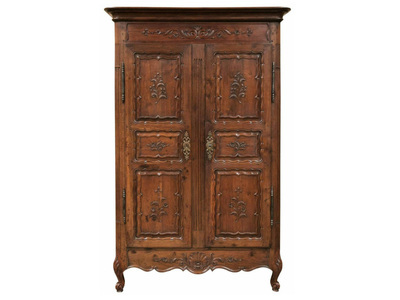 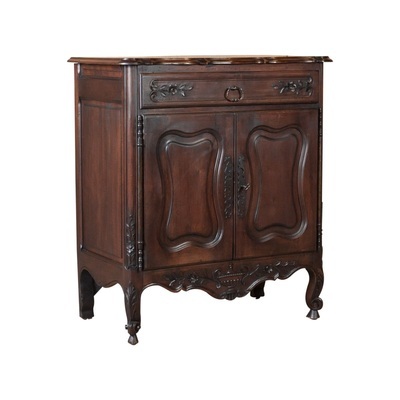 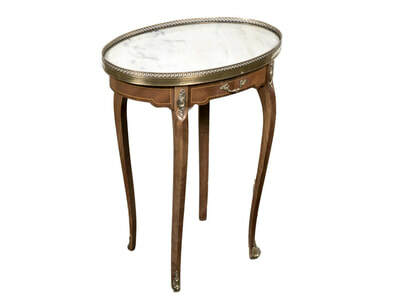 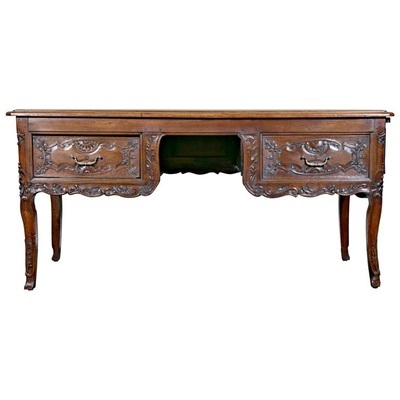 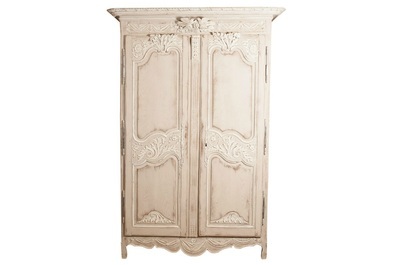 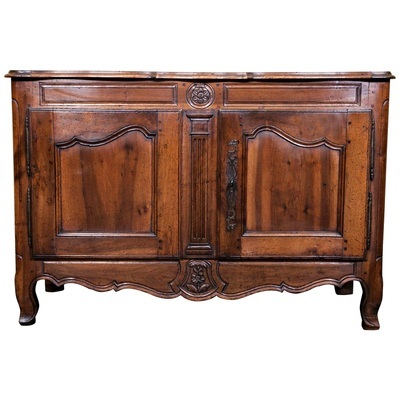 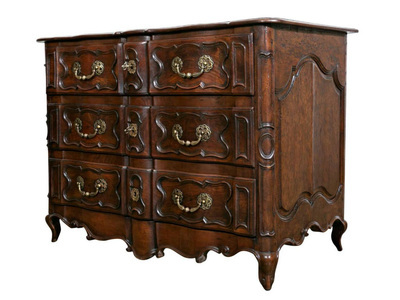 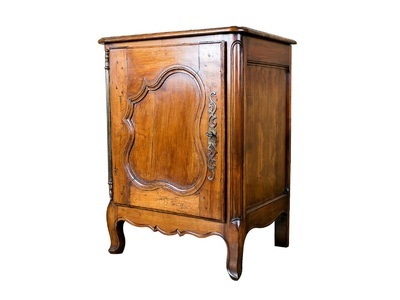 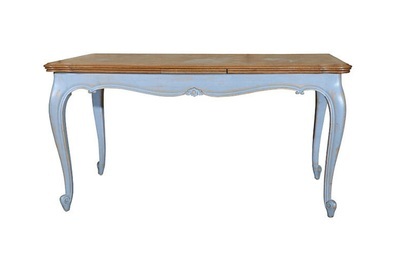 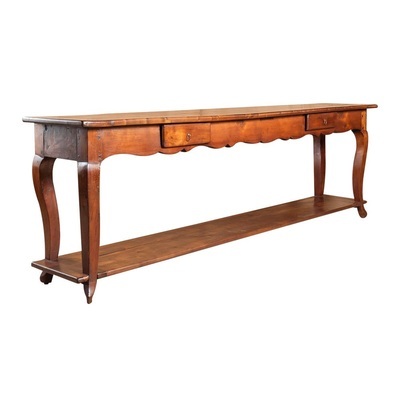 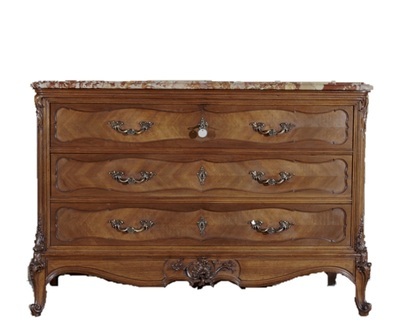 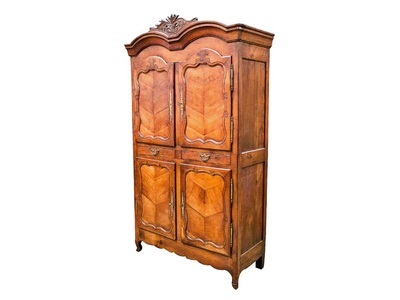 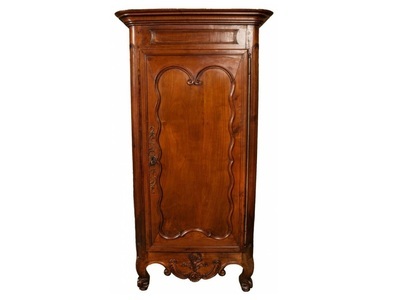 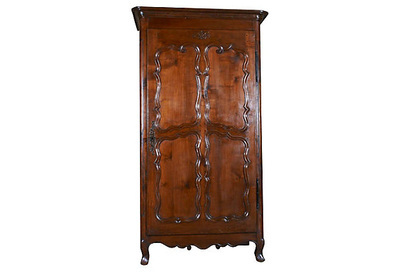 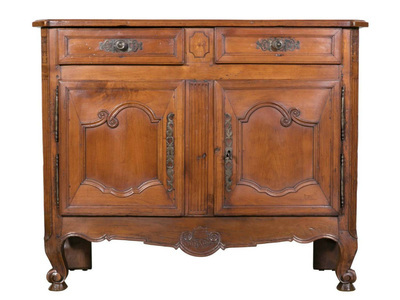 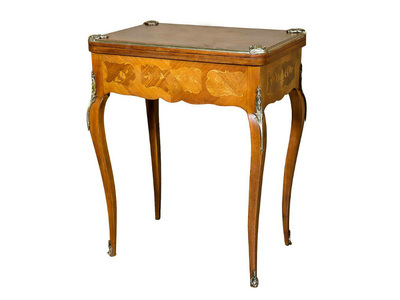 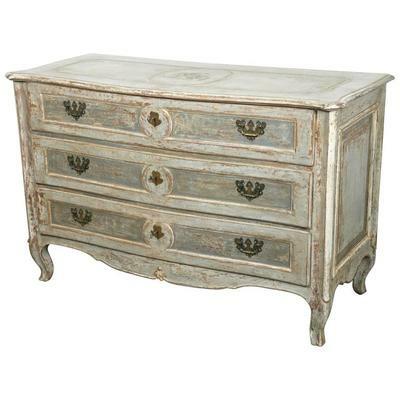 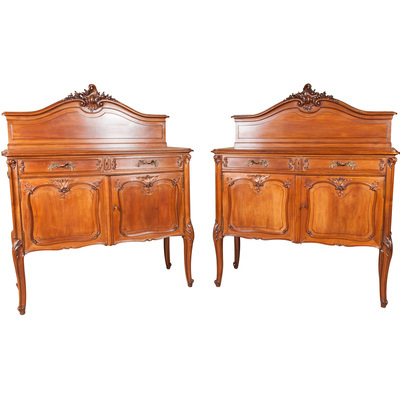 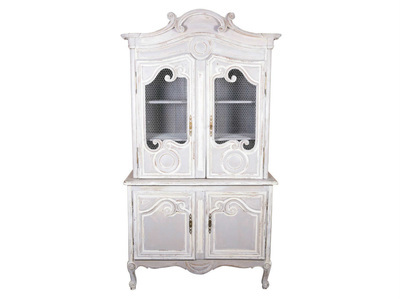 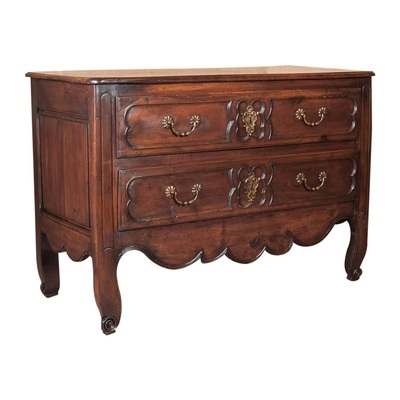 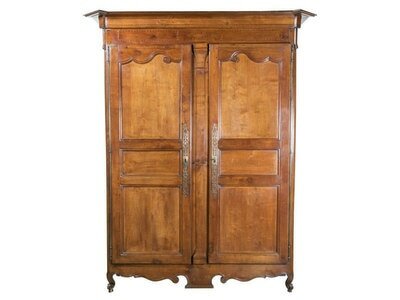 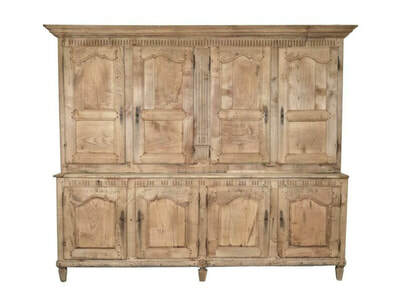 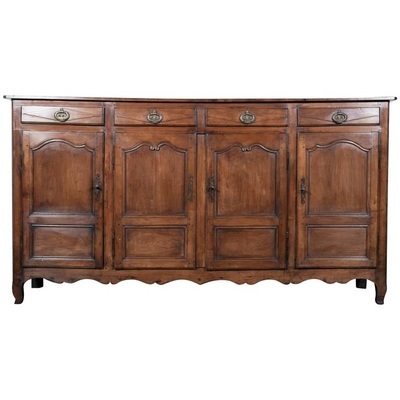 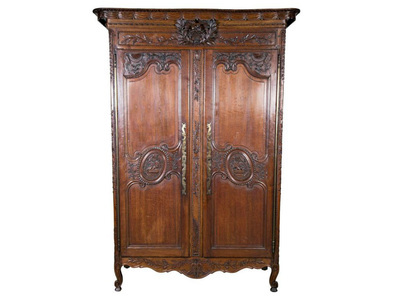 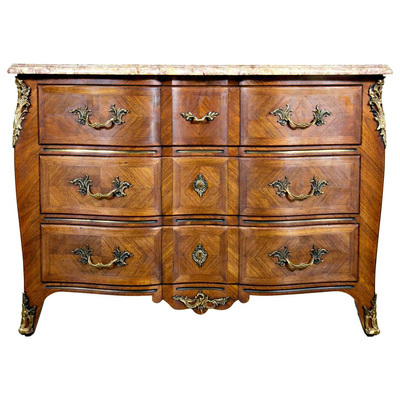 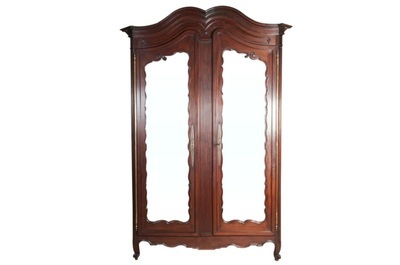 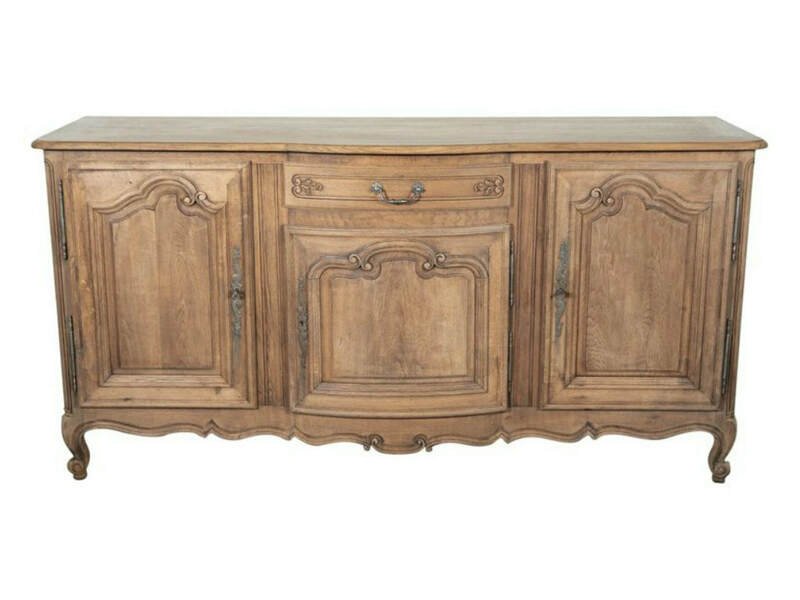 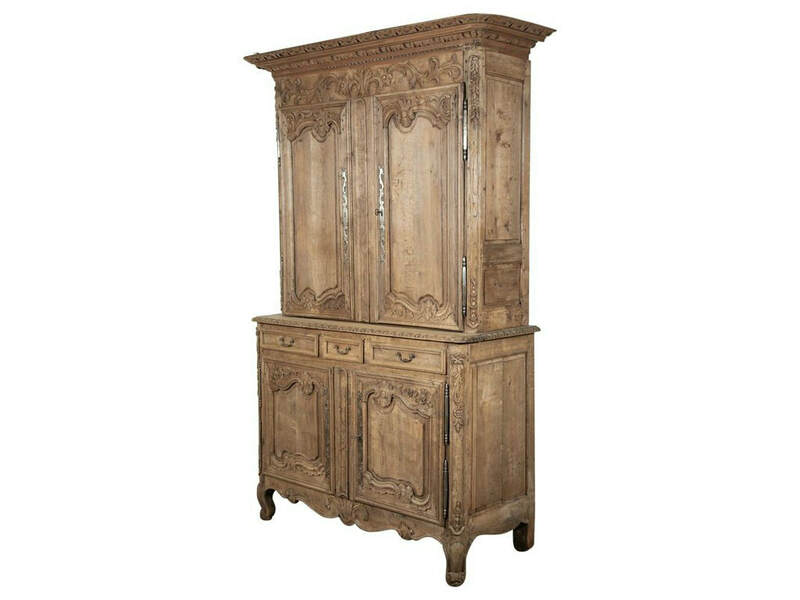 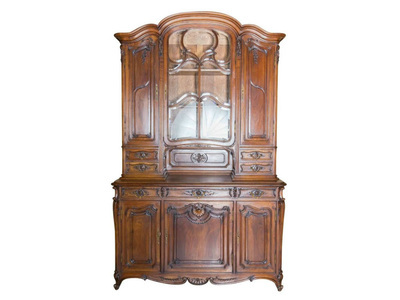 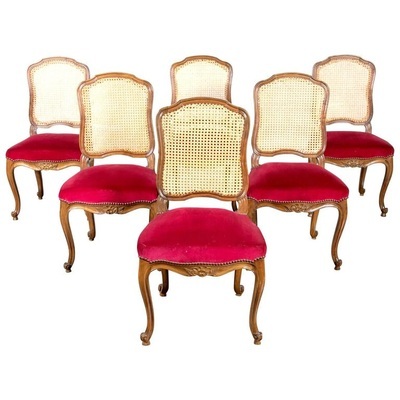 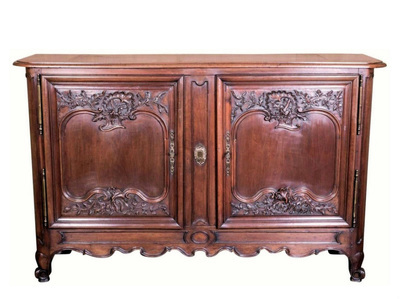 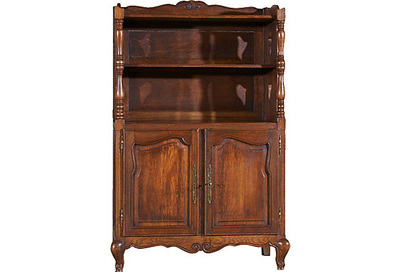 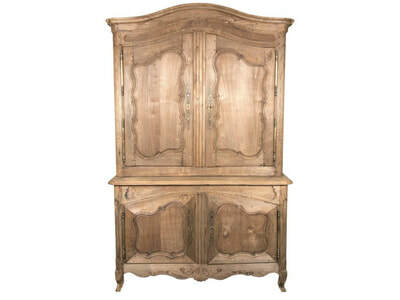 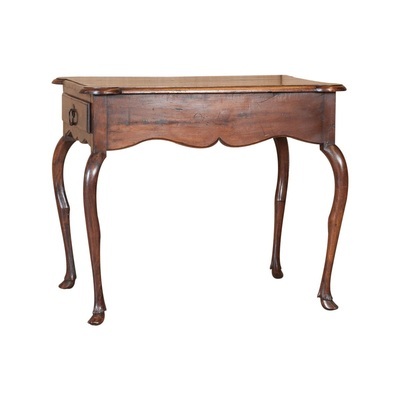 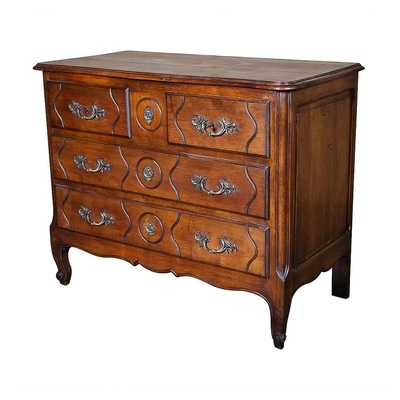 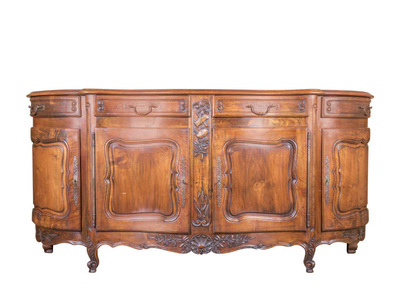 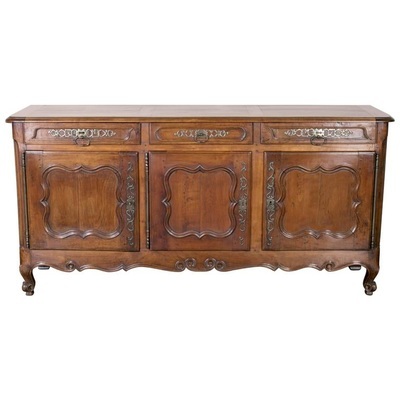 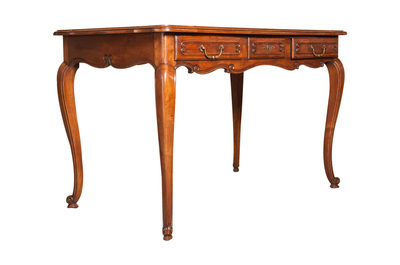 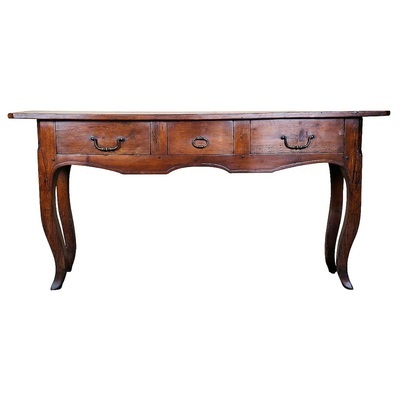 ﻿Louis XV style is the epitome of French furniture at its finest. 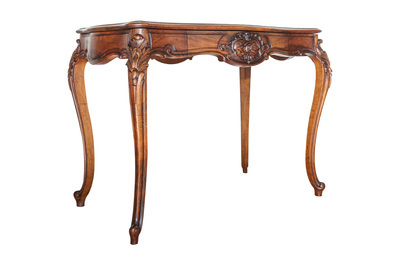 This period is regarded by many as the Golden Age of French furniture, a period of grand creativity, influenced by royal mistresses like Madame de Pompadour and Madame du Barry. 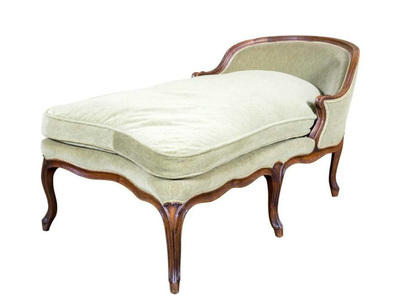 Comfort was all the rage in the 18th century. 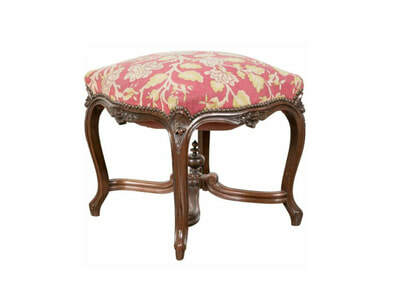 Louis XV style was designed for the comfort and glorification of beautiful women. 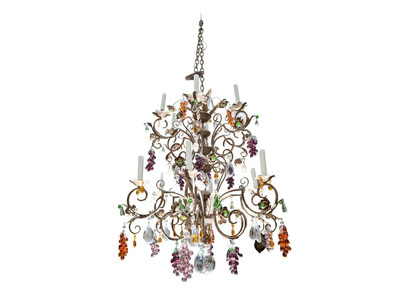 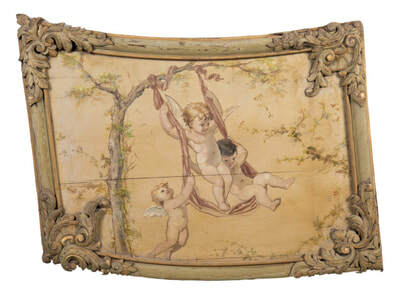 With its romantic, sensuous, and feminine look, the asymmetrical, more ornate and more playful Rococo style was born. 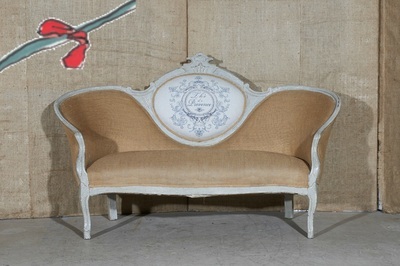 Rooms were reduced to a more reasonable size. 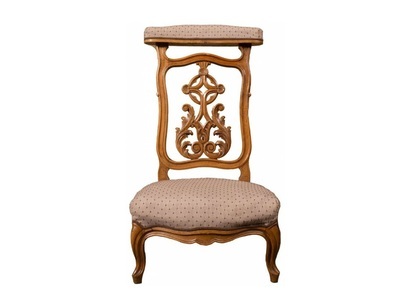 The Louis XV chair became smaller and more feminine, perfectly adapted to human needs. 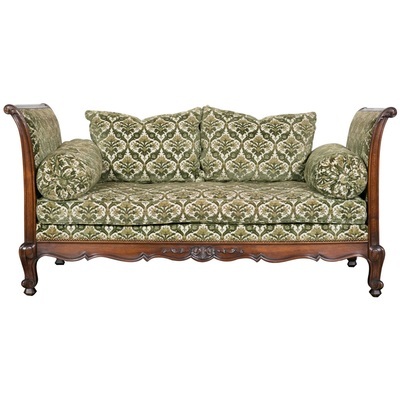 Springs were added, satisfying the salon society’s craving for comfort. 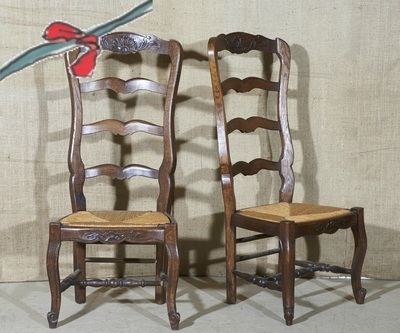 Shells, baskets/sprays of flowers, ribbons, symbols of love (bows, arrows and torches) and pastoral and romantic emblems (crooks and straw shepherdess hats) became popular motifs, many of these carved into crest rails, aprons and the knees of chair legs. 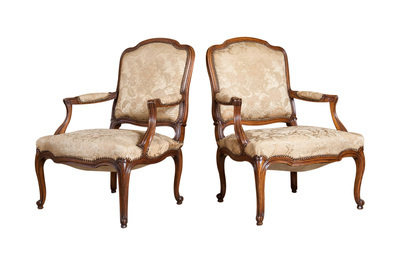 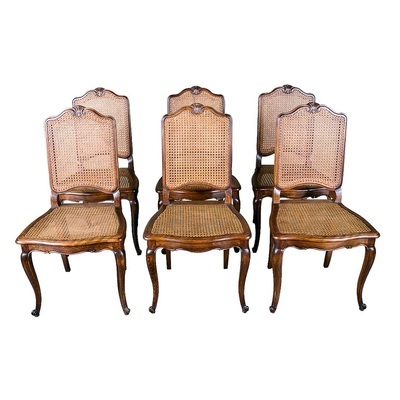 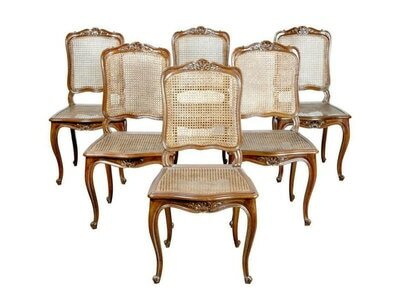 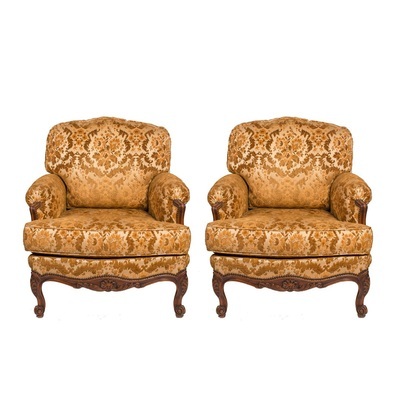 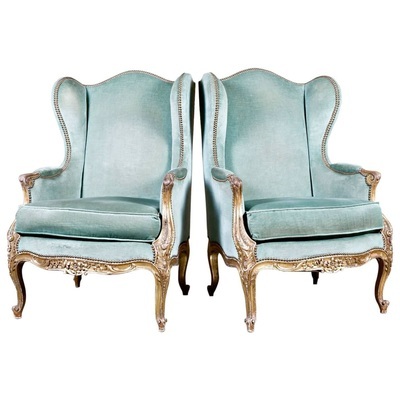 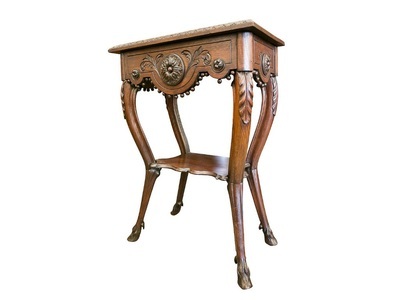 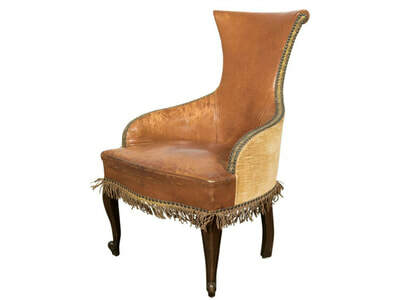 The easiest way to spot a Louis XV chair is by the signature “S” shaped cabriole leg. 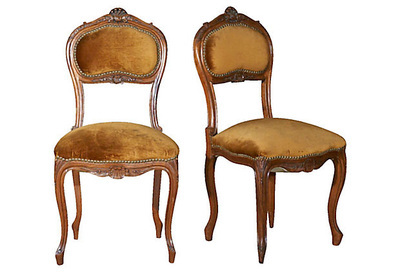 Similar in scale to the Louis XVI chair, there’s no mistaking the legs on Louis XV chairs, shaped like an animal's hind legs. 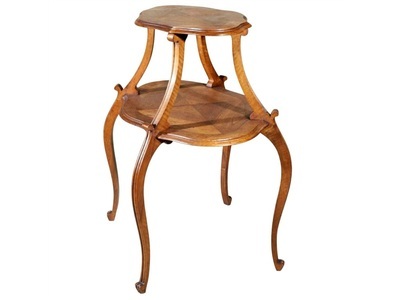 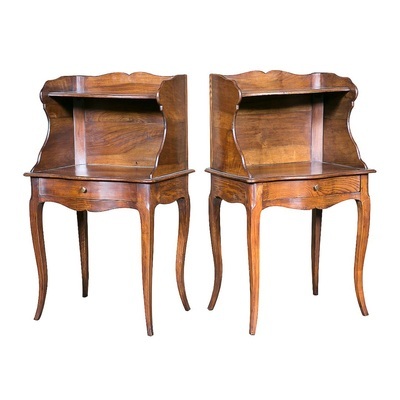 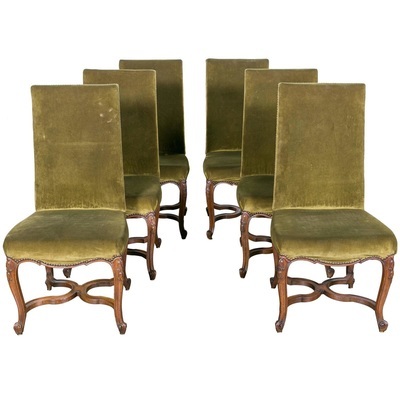 Stretcher supports disappeared from French chairs after the invention of curved cabriole legs. 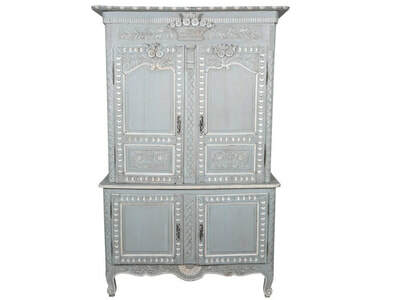 room, meant to complement the patterns and colors of the adjacent wall paneling. 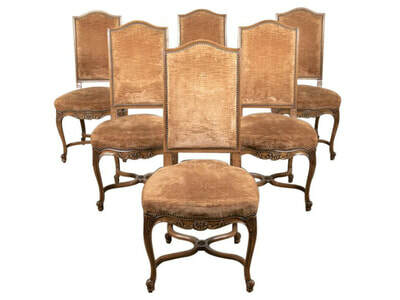 To accommodate the opulent fashions of the day, chair arms were shortened to account for hoop skirts, while chair backs were lowered to spare huge coiffures. 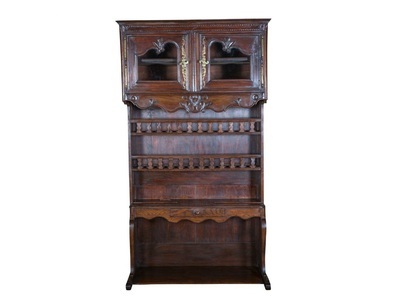 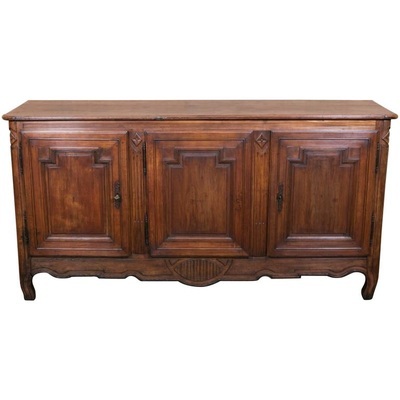 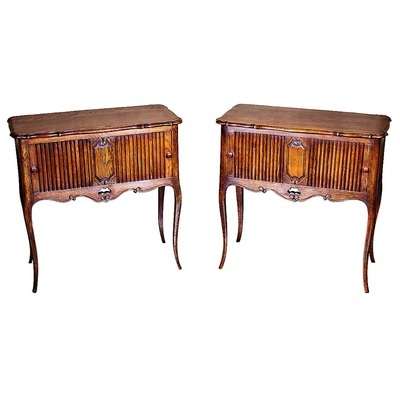 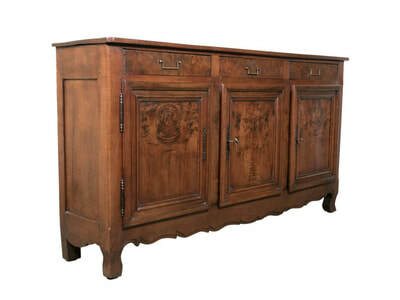 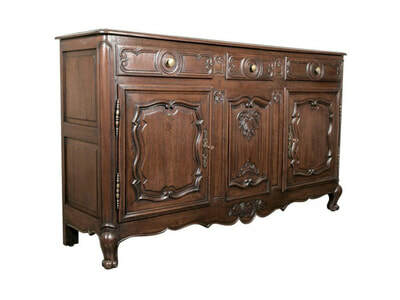 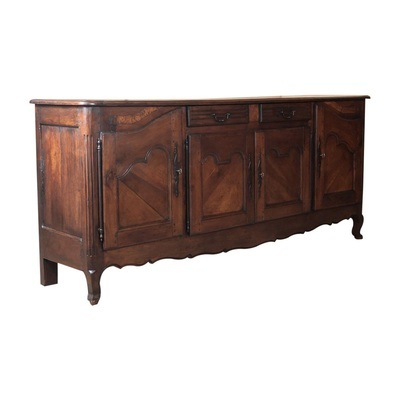 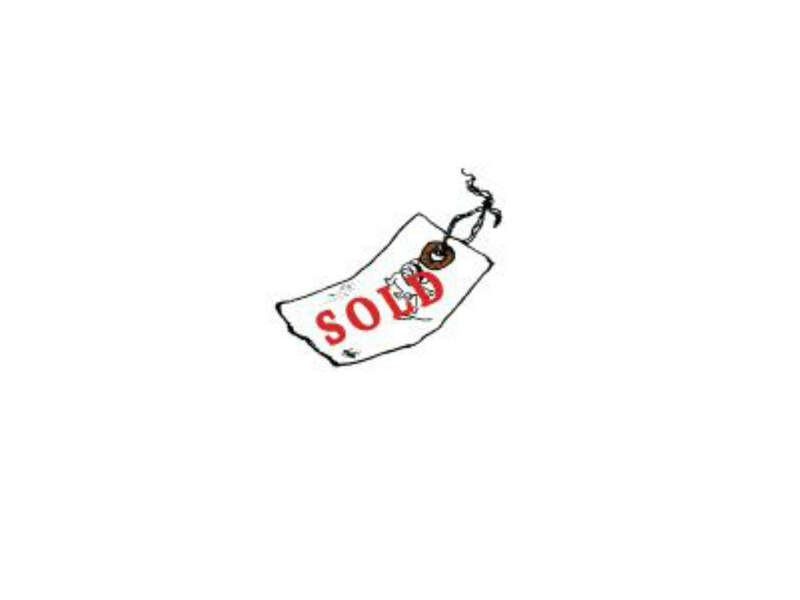 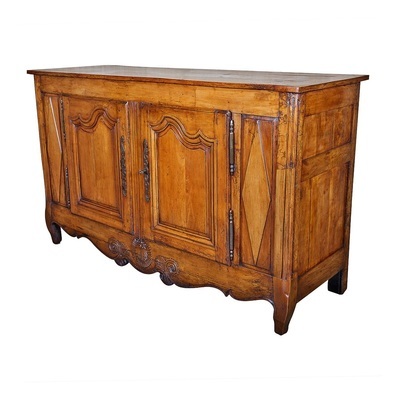 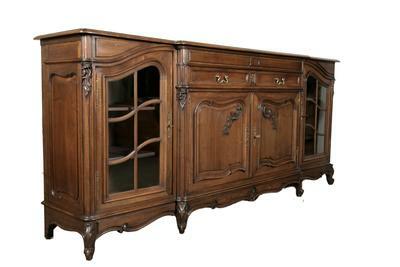 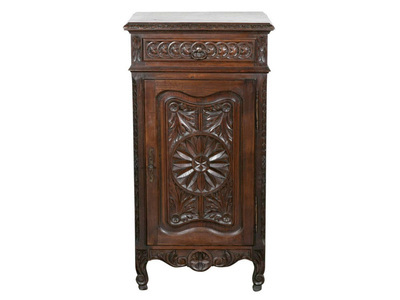 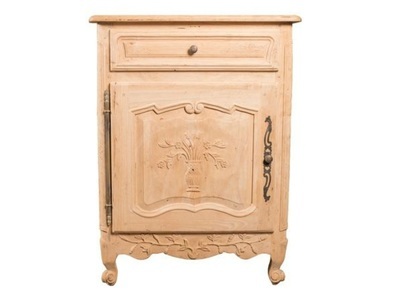 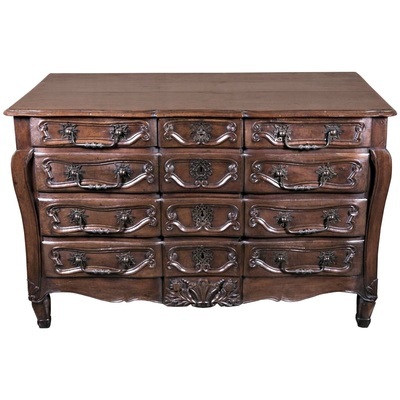 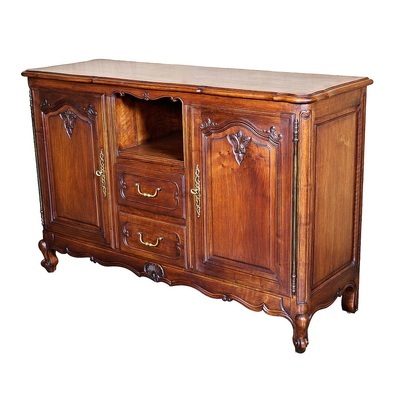 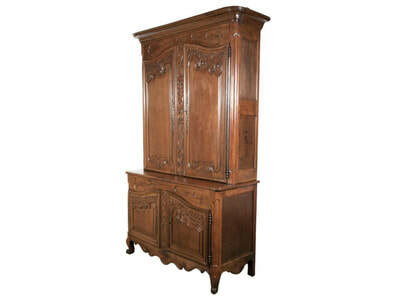 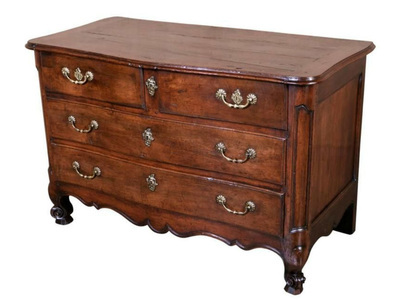 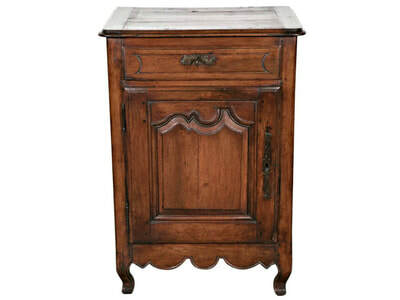 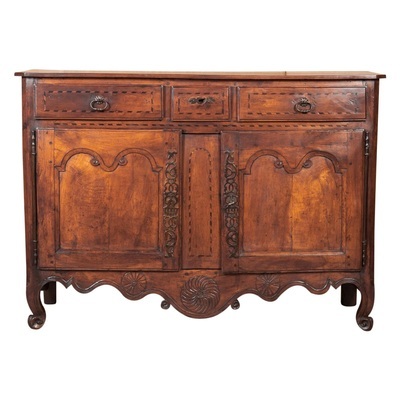 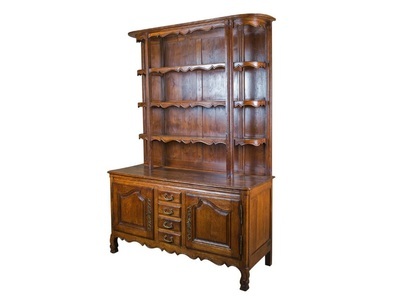 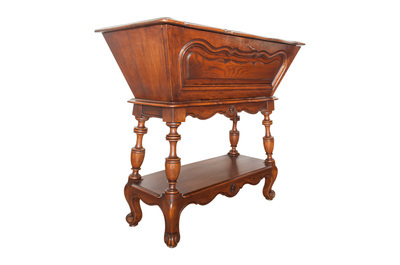 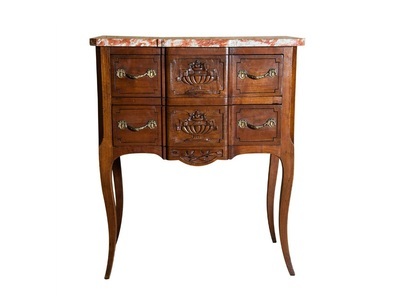 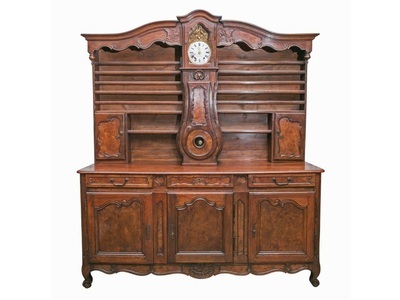 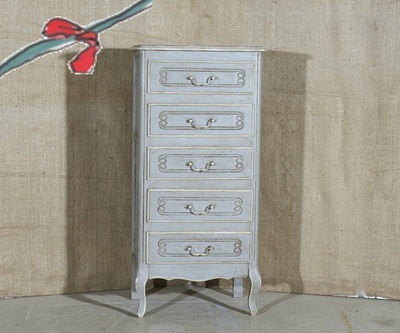 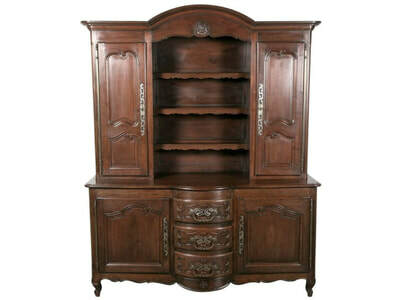 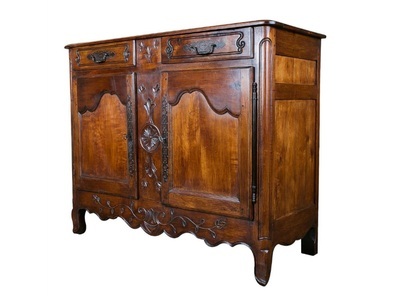 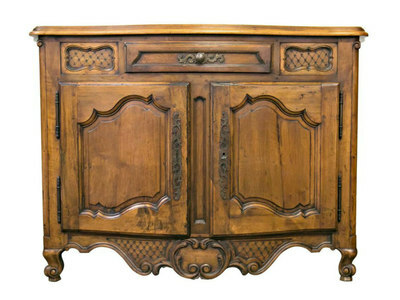 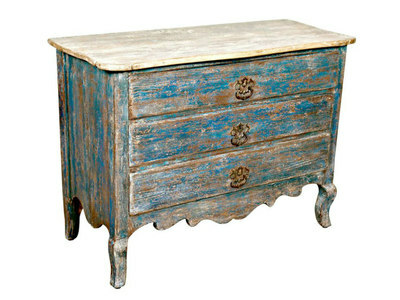 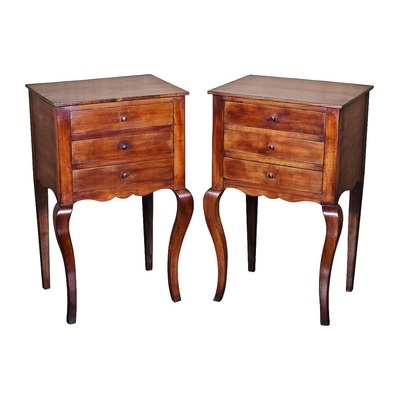 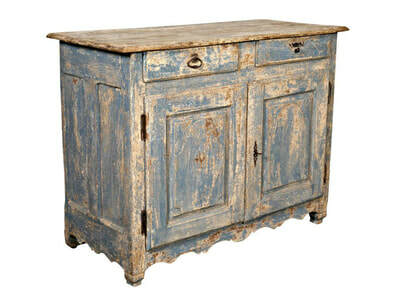 Ladies furniture like vanities and dressing tables became popular. 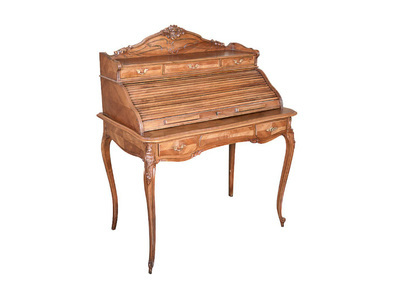 Roll top desks, writing desks with flaps, and wooden paneling appeared. 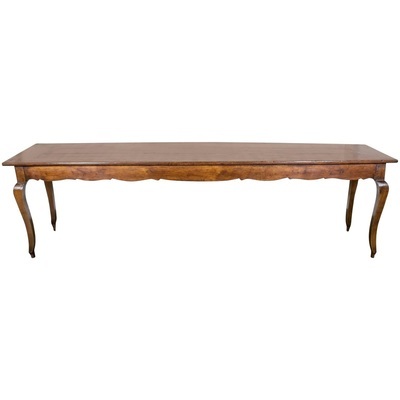 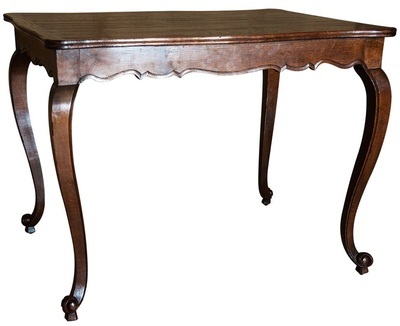 Dining tables were always covered with a floor length tablecloth. 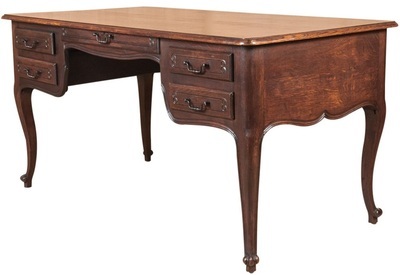 Multi-function furniture, such as tables that could be transformed by complicated locking devices into toilets, writing, reading and sewing tables, was a notable feature. 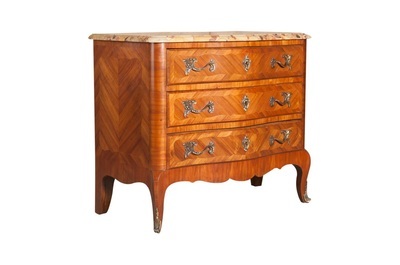 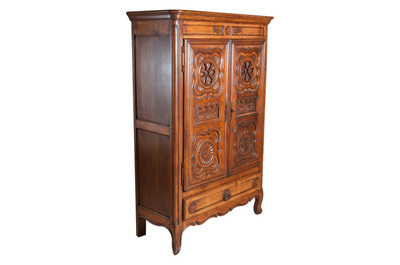 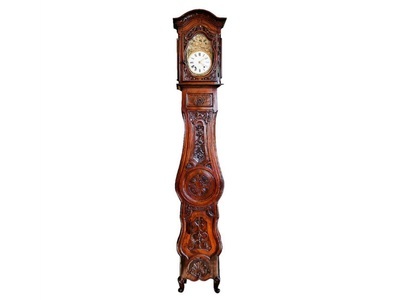 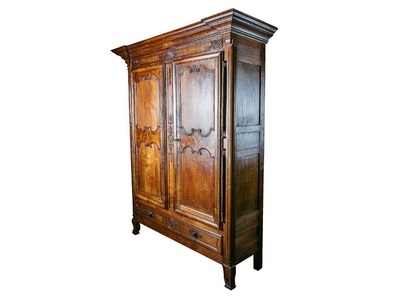 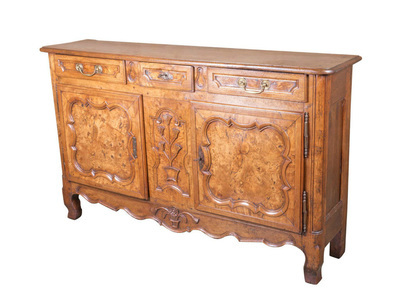 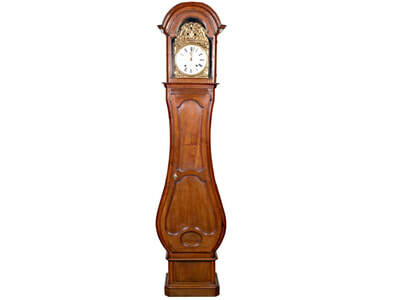 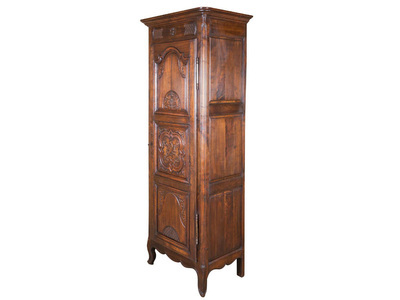 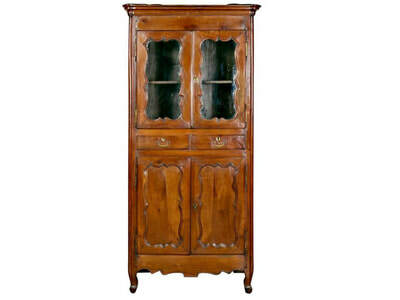 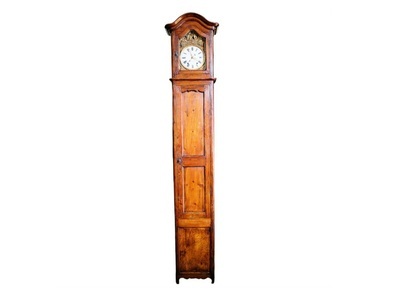 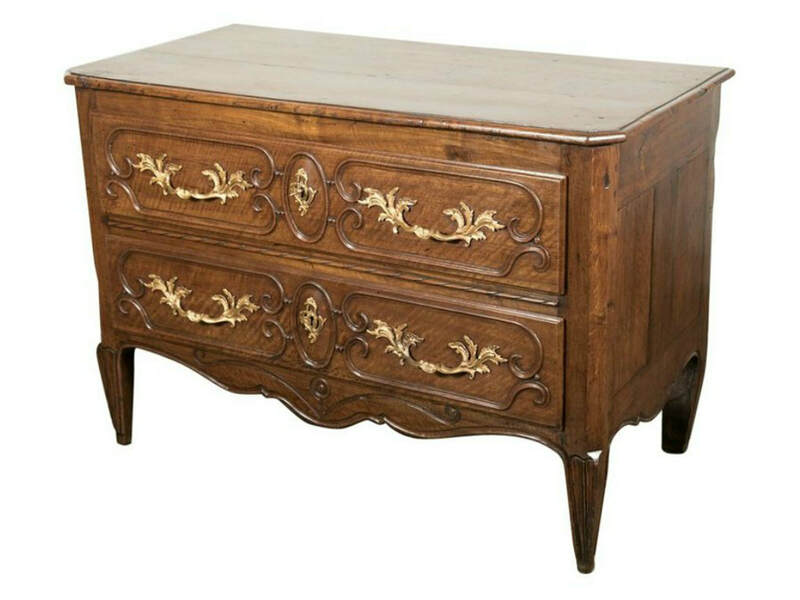 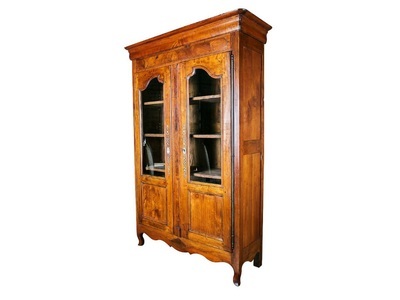 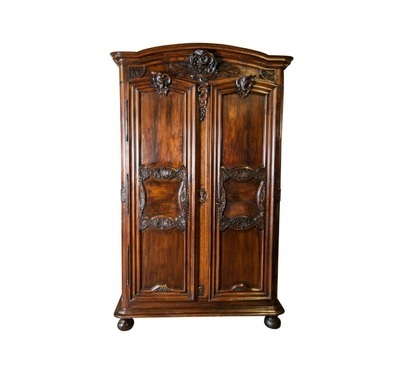 were used in conjunction with lacquer work, veneering, marquetry and parquetry. 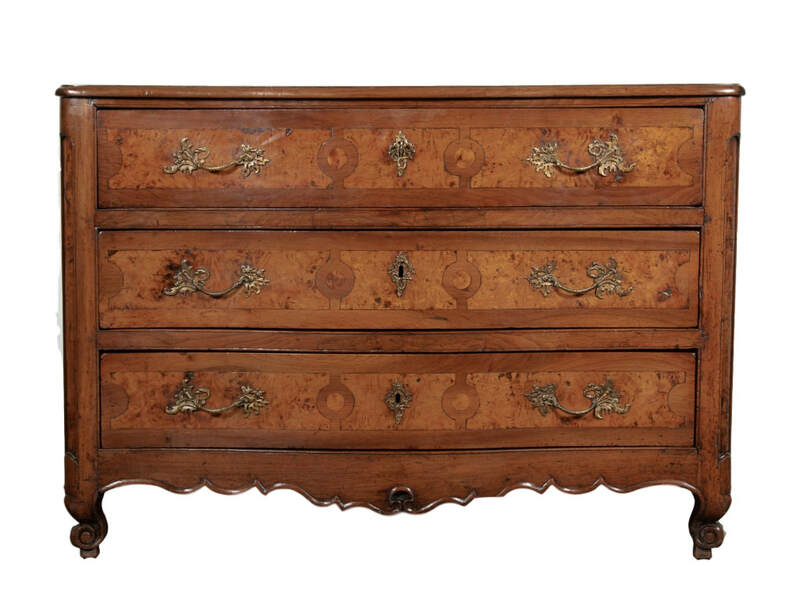 A taste for secrecy, which pervaded society, resulted in multiple hiding places being incorporated in pieces of Louis XV furniture which opened with springs. 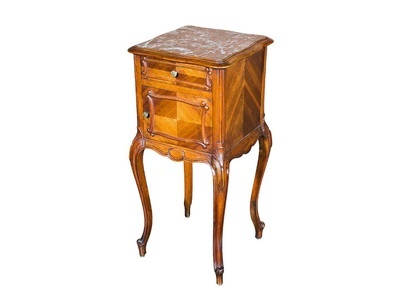 Between 1743 and 1790, members of the Parisian guilds were required to stamp or sign their names on pieces of furniture, under the marble top of commodes and under framing of chairs and tables, so as not to mar the appearance.